Back on the Market Buyer did not perform due diligent. The Madison Avenue property is well located in the very beginning of the I-15 and I-215 corridor in the Murrieta Valley area. Gentle rolling 3.74 acre Zoned Business Park, and close to new Car Max & Walmart, excellent prospects for future commercial industrial usage. General development for this location that is permitted include; Communication Facilities, Education/Public Assembly and Recreation, Services, Transportation, Manufacturing and Processing, Residential, and Retail Trade. Having high visibility, any future business is sure to bring in customers. 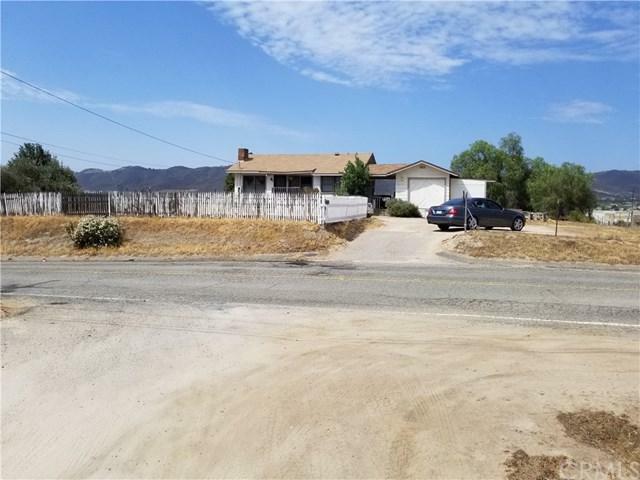 Buyer/buyer's agent to verify with City of Murrieta regarding exact zoning, land use and other details regarding use of property. Property is flat to very gentle slope and is all usable land!House has no real value, property sold for land value only. Do not disturb tenants, will ask seller to get you inside with accepted offer, so drive by showing only. Sold by Douglas Dale of Carbon Creek Realty.